We have lots of apps in the Apple App Store and so far there have been no support issues. There are some things that can trip you up when recording and playing sounds and if you have lots of apps, you may not see the File Sharing section of the screen where you can download scores from the apps. One thing to look out for. If you’ve been playing music with AirTunes on your stereo and then use one of our apps, you may not hear any sound. You probably need to change the output to your iDevice. Double tap on the home button and then swipe to the right until you get to the volume control buttons. 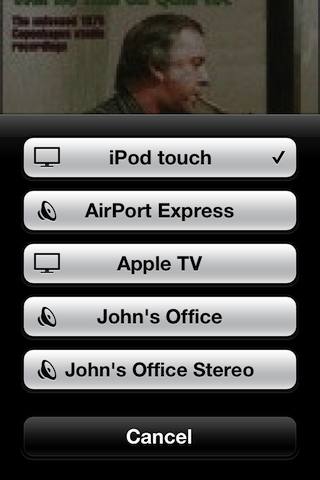 Then tap on the AirPlay button and change the setting from your stereo to your iDevice. Apple frequently rewrites the iTunes interface so things may not always be where they were the last time you retreived your saved scores. This document on Apple’s site shows you how to access shared files. Note that older versions of OSX may not support a version of iTunes that will allow you to manage your device. For example, a Mac running Snow Leopard does not allow you to manage devices running iOS 9 or later. Some of our apps use features that are only available on iOS7. 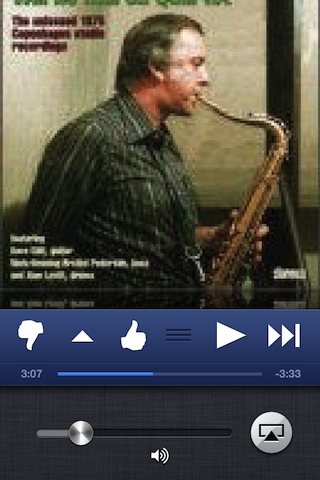 For example, in Picts for SLPs tapping on the picture to hear the text will only work on iOS7. If your bottom bar looks something like this you have iOS7. Note that the icons are somewhat flat and stylized. If it looks like this, you have iOS6 or earlier. Note that the icons are skeuomorphic and three dimensional. Microphone turns red but doesn’t record. iOS7 has a new security feature that can make it look like the app is not working. 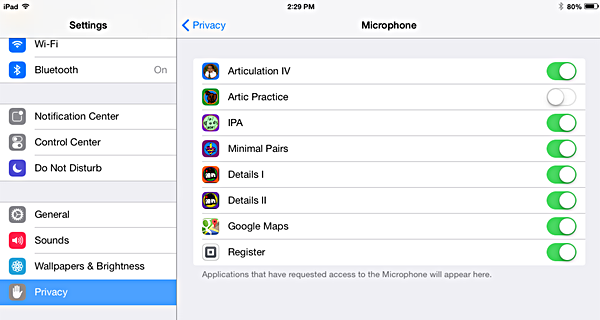 Each app has to ask if it is allowed to use the microphone when it starts for the first time. If you accidentally say no, the microphone will think it is recording, but is really not. If you don’t hear any sound when you play back the recording (and none of the “gotchas” mentioned above apply) you need to go to your security settings and give the app access to the microphone. The page should look something like this. Make sure the slider is green for the app. Another thing to look out for. When you first open the app, the pictures have some text that has keyword descriptions. You probably don’t want to listen to the text, so the default option is to never play the sound when you tap on the picture. After you enter text, you’ll probably want to have the computer say the text for you. If you want to play the sound, you need to go to Settings and change the Target Sound Delay from ‘Never’ to either ‘Short’ or ‘Long’.